Nothing can be simpler than some pasta and fresh stir-fry veggies, so that is what I decided to prepare. 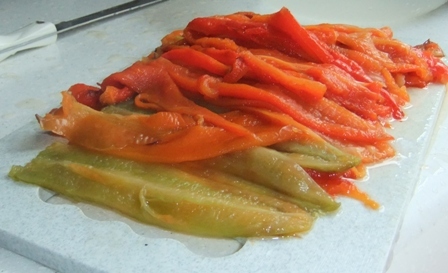 I used my “free” peppers in a stir fry, but my sister-in-law had an abundance of peppers, and decided to roast them on the grill. 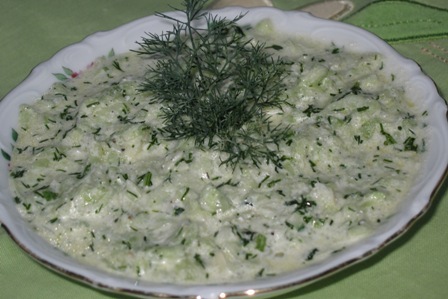 Homemade Tzatziki Dip is very refreshing any time of the year, but even more so during hot summer days. It may be served as a dip with veggies, chunks of Pita Bread, with gyros or souvlaki, or as a salad dressing. I love gardening, and especially growing my own herbs, so I have them fresh on hand to use in my cooking. 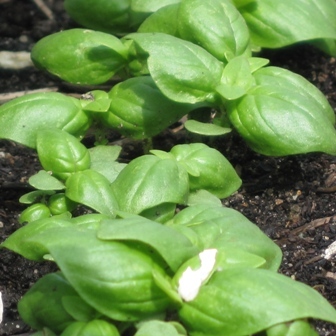 One of the herbs I enjoy in my dishes is fresh Basil. When I found this recipe for a homemade vinaigrette, I was very excited and am sharing it here with you.